In a mesh network, rather than traveling to a fixed node such as a router or cell tower, information travels across the mesh until it reaches its recipient. Since every device seeks out other devices to connect to wirelessly, only one device has to be connected to a fixed router. For the civilian world, this could mean investing less in expensive and vulnerable infrastructure, and instead building a network that is both cheaper and more robust. The cities of Garland, Texas, and Medford, Oregon, in the United States have already invested in mesh networks, for example. Perhaps more importantly, such networks could deliver the internet to large swaths of the world that still lack access. One other important side benefit of the mesh network is that it enables various devices on the IoT – things like thermostats, home automation systems, vehicles, and wearable devices – to communicate with each other as well as provide connectivity for more devices that might be too far away from an internet source. Indeed, these issues are among the greatest concerns for Berners-Lee almost 30 years since his creation of the World Wide Web. “We must work together with web companies to strike a balance that puts a fair level of data control back in the hands of people, including the development of new technology like personal ‘data pods’ if needed, and exploring alternative revenue models like subscriptions and micropayments,” Berners-Lee wrote in a World Wide Web Foundation blog post in March 2017. “We must fight against government over reach in surveillance laws, including through the courts if necessary. We must push back against misinformation by encouraging gatekeepers such as Google and Facebook to continue their efforts to combat the problem, while avoiding the creation of any central bodies to decide what is ‘true’ or not. We need more algorithmic transparency to understand how important decisions that affect our lives are being made, and perhaps a set of common principles to be followed. We urgently need to close the ‘internet blind spot’ in the regulation of political campaigning,” he wrote. With programs such as “Explainable AI,” which seeks to develop AI tools that explain how they arrive at conclusions and make decisions, and the new Media Forensics (MediFor) program, which seeks the capability to automatically detect manipulations of online imagery and to reveal precisely how these manipulations were performed, DARPA is taking steps toward the safeguards Berners-Lee calls for. 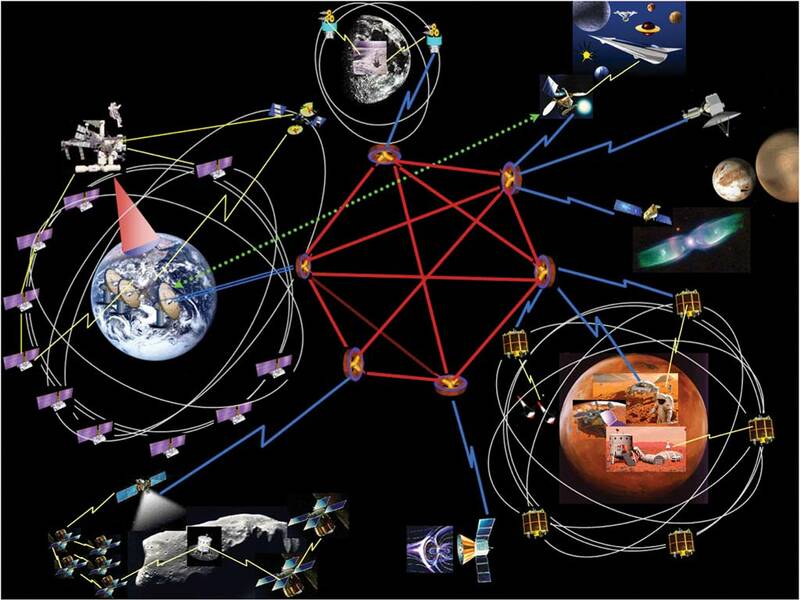 Though many challenges and issues face the internet, today it has in many ways fulfilled Licklider’s vision of “the main and essential medium of informational interaction for governments, institutions, corporations, and individuals.” Indeed, Licklider’s “intergalactic” network has now actually reached out into space. One of ARPANET’s lesser-known but potentially most-expansive contributions is interplanetary networking, Cerf explained. Beginning in 2008, researchers at NASA’s Jet Propulsion Laboratory in Pasadena, California, used a protocol called Disruption Tolerant Networking (DTN) to successfully transmit data to far-flung spacecraft in Earth orbit. The goal of DTN is to support communications and data transfer across interplanetary distances. The driver of this effort, according to NASA, is because, “when data are transmitted and received across thousands and even millions of miles, the delay and potential for disruption or data loss is significant.” In 2016, a dedicated DTN link between Earth and the International Space Station went online, making it the very first part of an interplanetary internet, Cerf said.